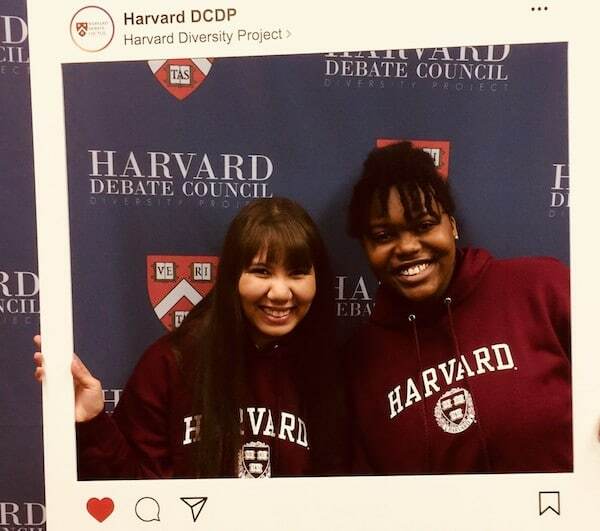 Two Centennial High School students were recently selected for the Harvard Debate Council Diversity Project (HDCDP), which is an Atlanta-based subsidiary of Harvard College. Divali Legore and Sophia Woodrow were two of over 250 students from the Atlanta area who participated in a lengthy application process from which only 26 students were selected. The students will be part of the HDCDP Class of 2019, which is the second cohort of students to participate. Following a 10-month commitment to the program locally, the students will travel to the Harvard University campus in Cambridge, Massachusetts, to attend the Harvard Debate Council’s Summer Residency. At Harvard, they will engage in a rigorous academic regimen along with nearly 400 hundred students from around the world. The experience culminates in a single elimination debate tournament at which last year’s Atlanta based students, the first cohort in the program, were victorious. Centennial High School offers one of the most unique and engaging learning experiences in the area through its state-of-the-art Learning Commons, innovative Makerspace and emphasis on international relations. Its passionate and highly-skilled educators are dedicated to preparing each student in its uniquely diverse population for individual success. The school’s inclusive culture and highly engaged community set it apart, providing the right environment for students to excel in academics, athletics, the arts and more. Centennial High School is the only International Baccalaureate World school in northeast Fulton County.